I pinned this a long time ago but have just kind of ignored it since. On the surface it sounds great and healthy and easy. But I’ve never really understood the appeal of “beans and rice” as an entree. 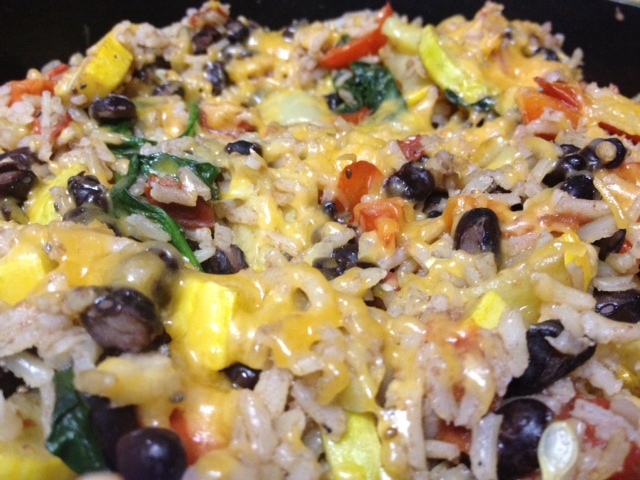 I like beans, I like rice, but somehow as a stand-alone meal it just kind of sounds…meh. 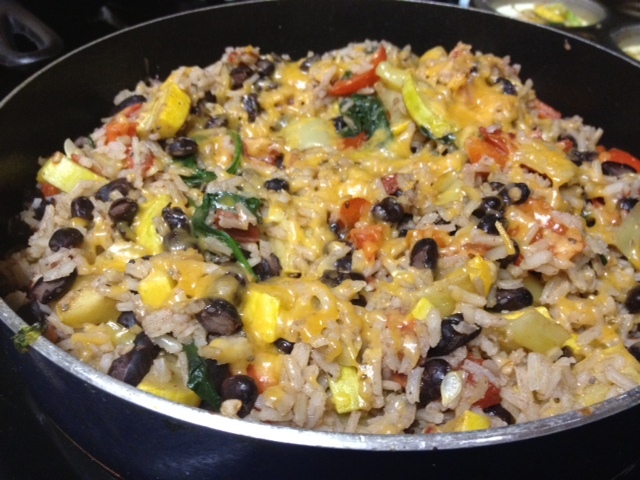 As really healthy meals go, this one’s okay—chock full of vegetables with all their fiber and antioxidants, protein and fiber from the rice and beans, with a dash of cheese. Wasn’t too hard to put together either. Cook your rice (brown rice, in my case) according to the directions. While the rice is cooking, dice up all your veggies. 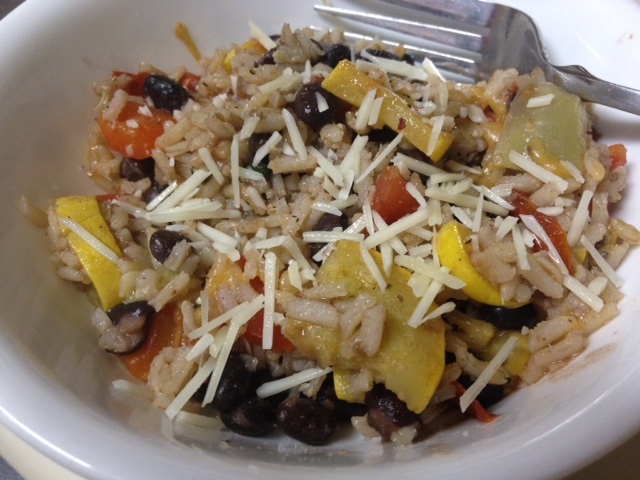 I had peppers, squash, and tomatoes around, so that’s what I used. 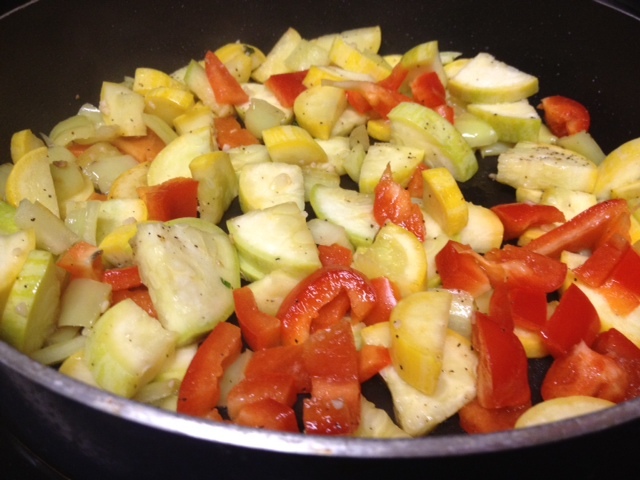 Saute up your peppers and zucchini (the vegetables that take longer to cook) for five minutes or so. 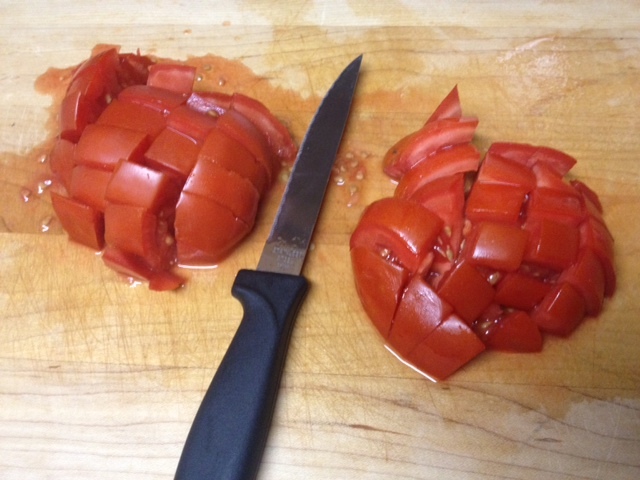 Then add your diced tomatoes, continue to saute for a couple minutes. Season to taste. I used salt and pepper, you could also add garlic if you remember (which I obviously didn’t). 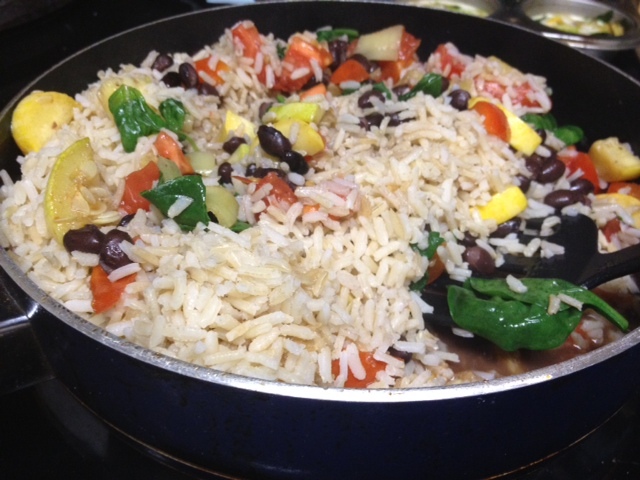 Rinse and drain your black beans, and add to the pan. 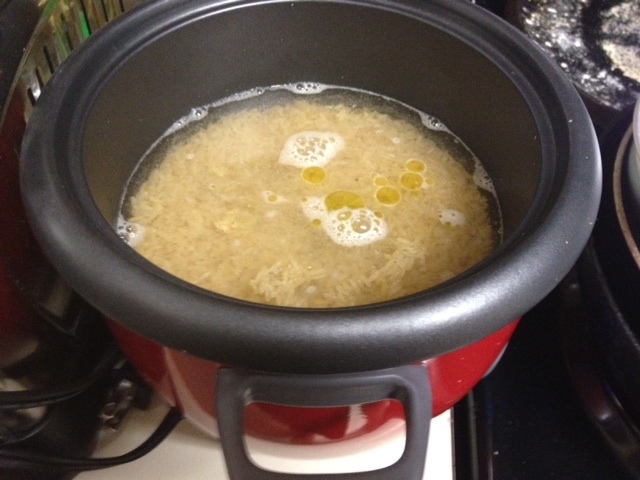 Add water as well, then increase heat and bring the mixture to a boil. At this point I was wishing I’d used a bigger pan! Add the spinach and the rice and then stir everything up. 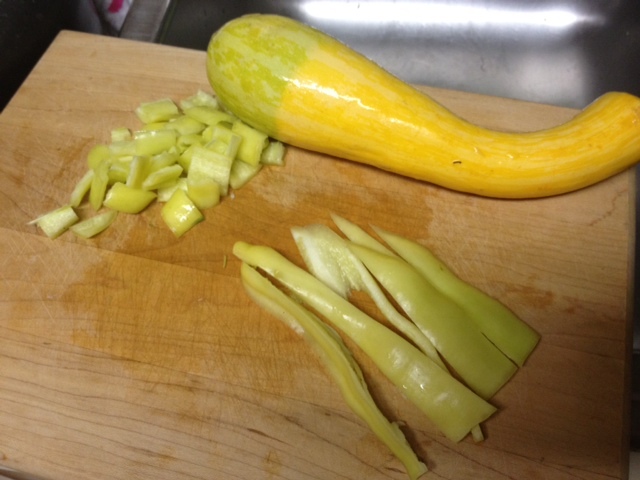 Remove from heat, cover, and let sit for about 7 minutes (or until liquid is absorbed). Sprinkle with cheese and serve. Voila! It was pretty good, though definitely not my favorite dish. Much better fresh than leftover. And certainly healthy. So always good to have as a go-to. Heat oil in large skillet over medium heat. 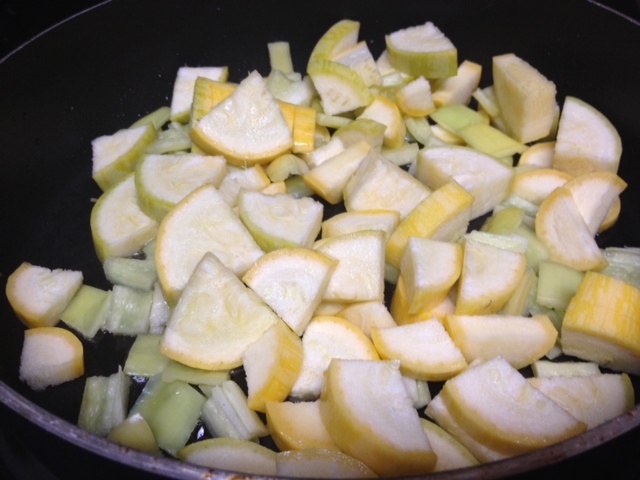 Add zucchini and bell pepper and cook 5 minutes, stirring occasionally. 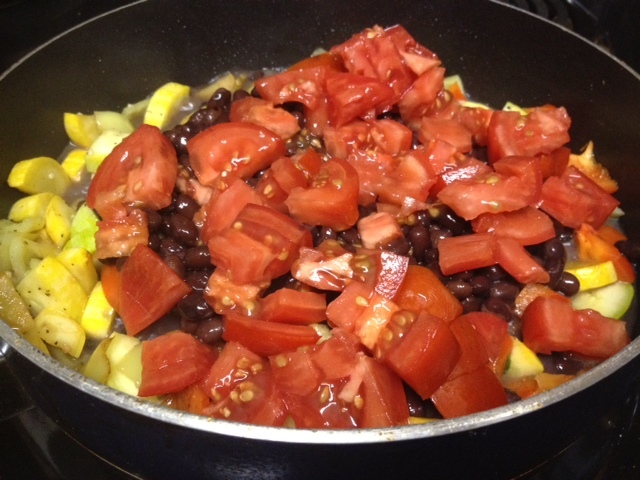 Add beans, tomatoes, and water. Increase heat and bring to a boil. Add rice; stir well. 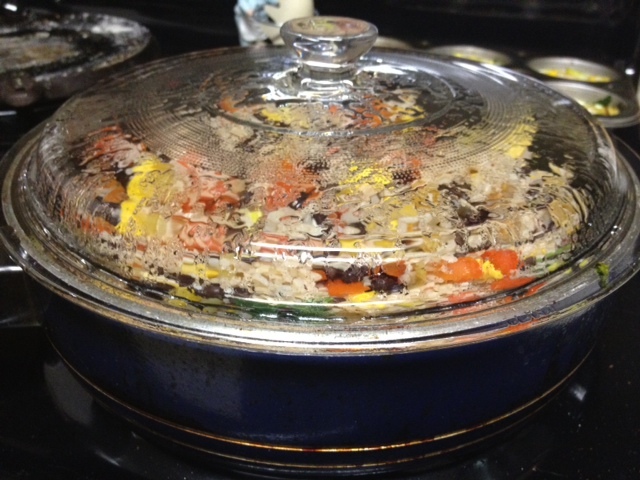 Cover, remove from heat, and let stand 7 minutes or until liquid is absorbed. Sprinkle with cheese.